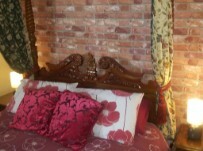 B&B rates from under £25.00 per adult per night sharing a standard room. We welcome families with Children of all ages. 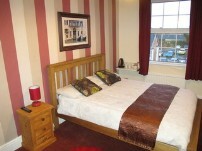 Tha Angel is situated in the centre of Tiverton on a quiet road surrounded mostly by commercial and residential properties, and churches. The Angel is in the conservation area of Tiverton and although we are a stones throw from all the shops and restaurants, St Peter Street is very quiet. 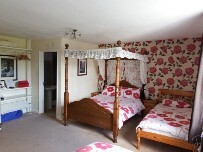 Room 1 is a standard double bedded room with views over the Exe valley to the hills beyond. 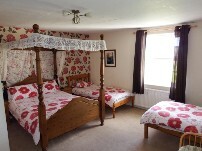 Room one is available as a double for two, or for single occupancy. With private vanity wash basin. 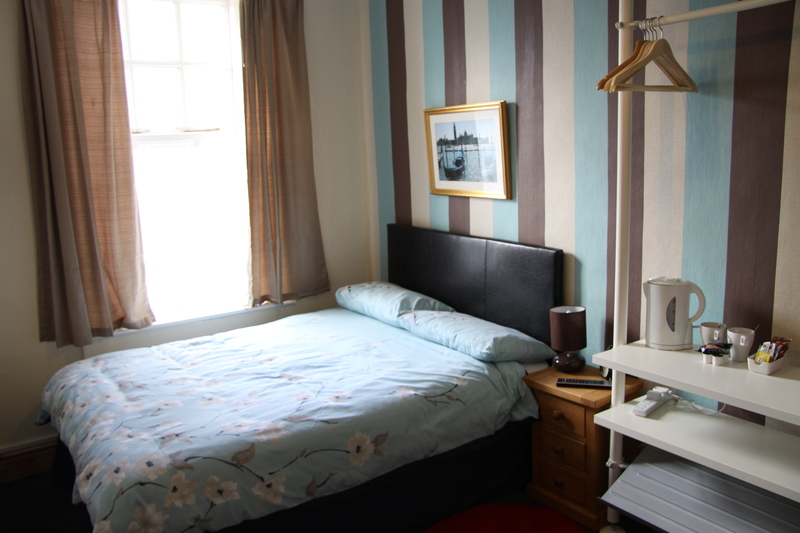 Room 2 is a standard double bedded room on the quieter Market side of the guesthouse. Room 2 is available as a double for two, or for single occupancy. With private vanity wash basin. 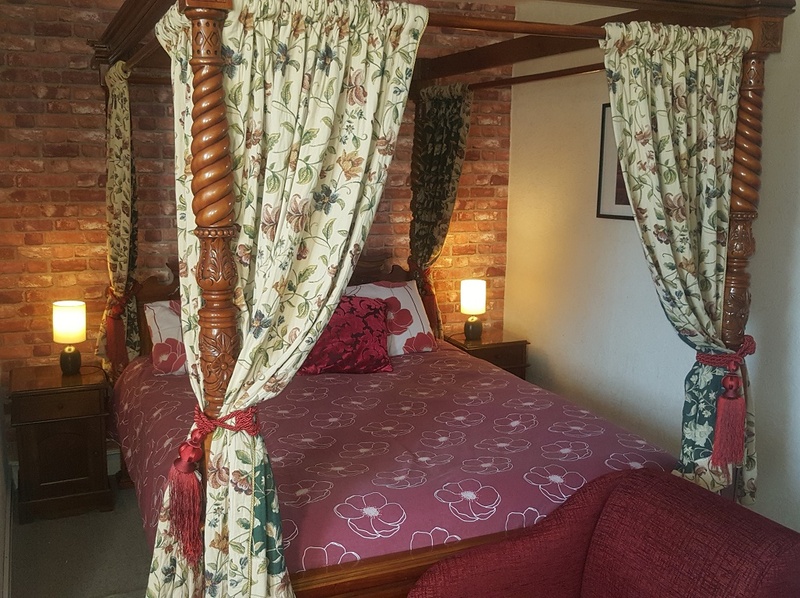 Room 3 is situated on the quieter 'Market' side of the guesthouse, room 3 is a large double bedded en-suite with a beautiful four poster bed, sold as a double, a single or a 2 + child. Private en-suite consists of a large walk-in hower, toilet and wash basin. 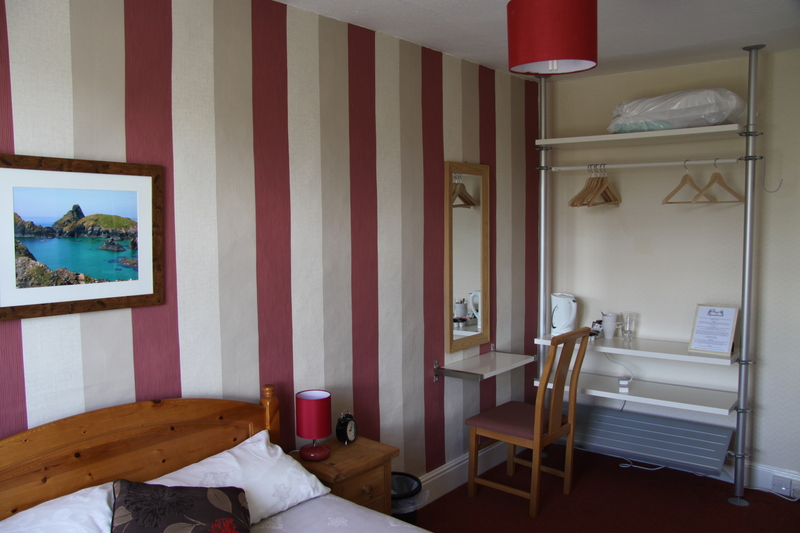 Room 4: With views across the Exe valley to the hills beyond, room 4 is our largest room. 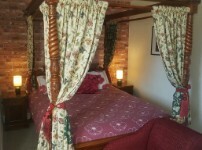 One double Four Poster and two single beds make this en-suite room perfect for two or three guests, or a family. 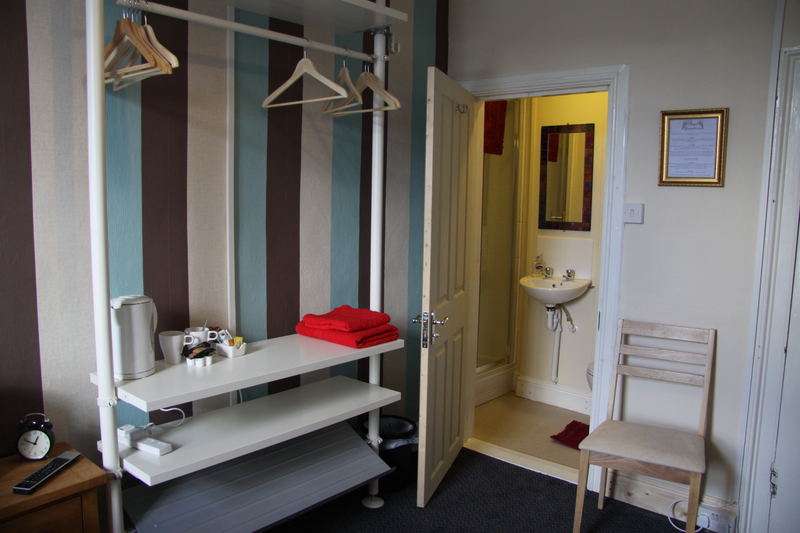 The private en-suite consists of toilet, power shower and wash basin. There is also room for a cot. 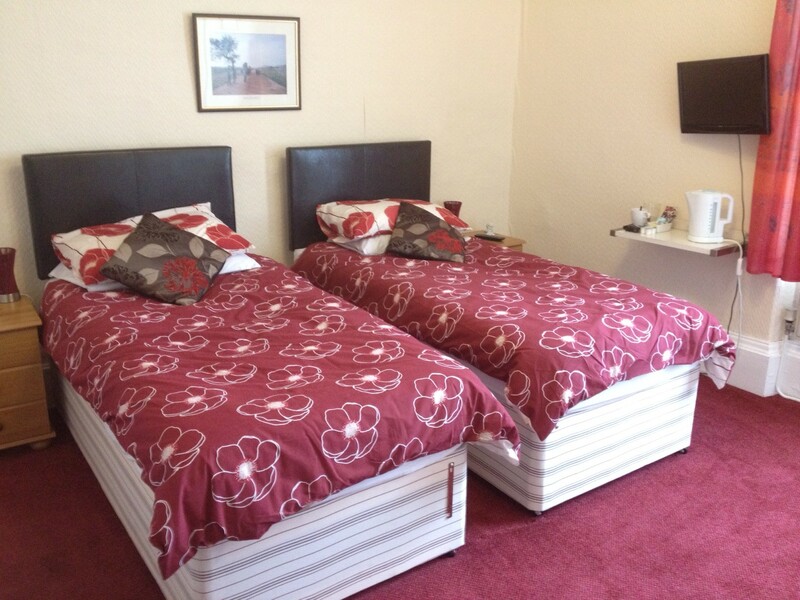 Room 5: With 2 standard single beds that can be "zipped" together to form one 6 foot wide superkingsize bed, room 5 is a popular choice as a twin or a double bedded room, and is also available for single occupancy. 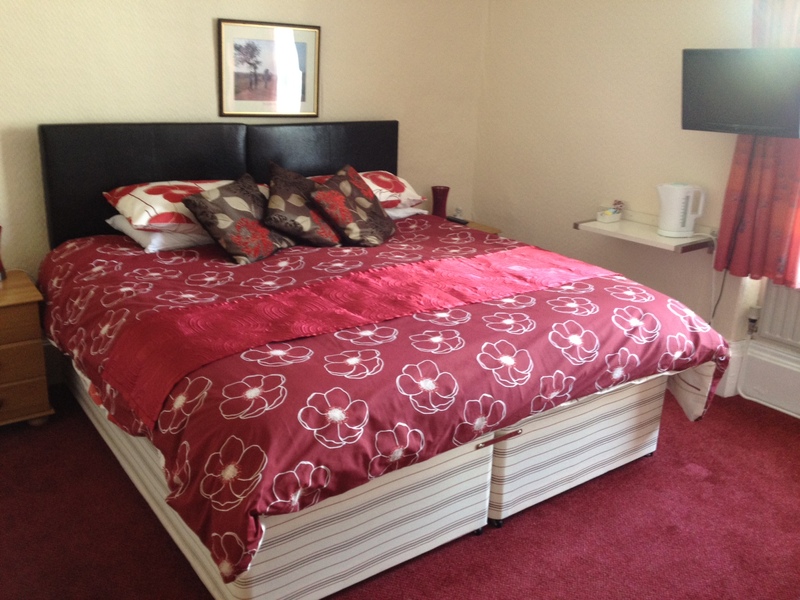 This twin/double en-suite room sleeps up to 2. 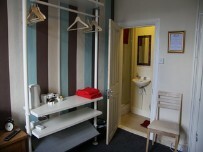 The private en-suite consists of WC, shower unit and wash basin. 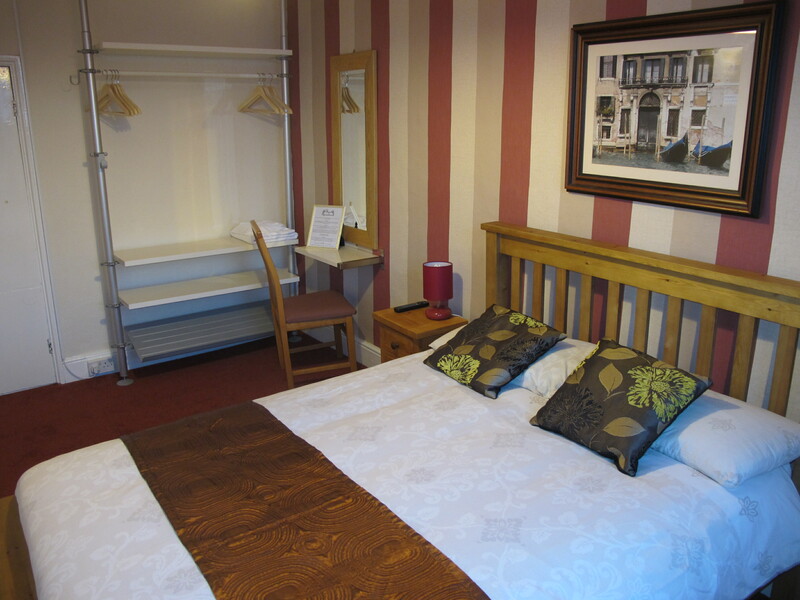 you can only book room 5 as a Twin online, if you require the room as a double, please contact us directly. 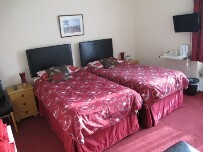 Room 6: Sold as a single, room 6 has a double bed with ensuite facilities. Sleeps one or two. 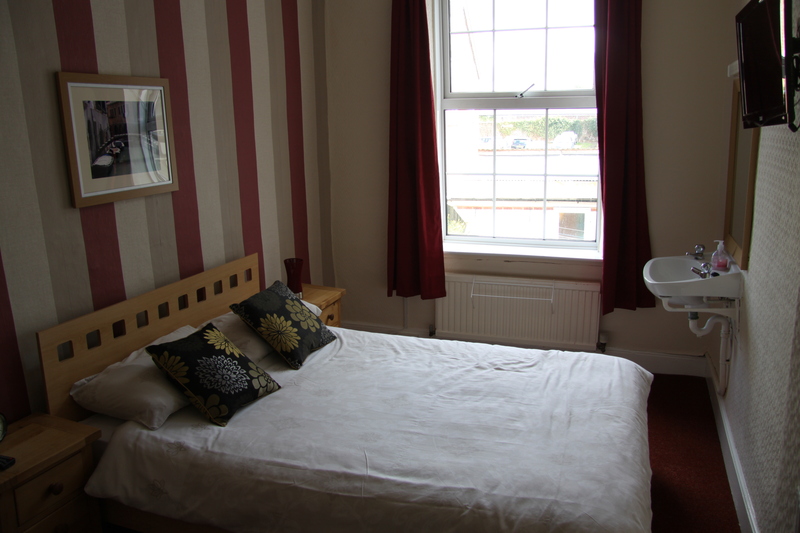 En-suite consists of WC, Shower and wash basin. 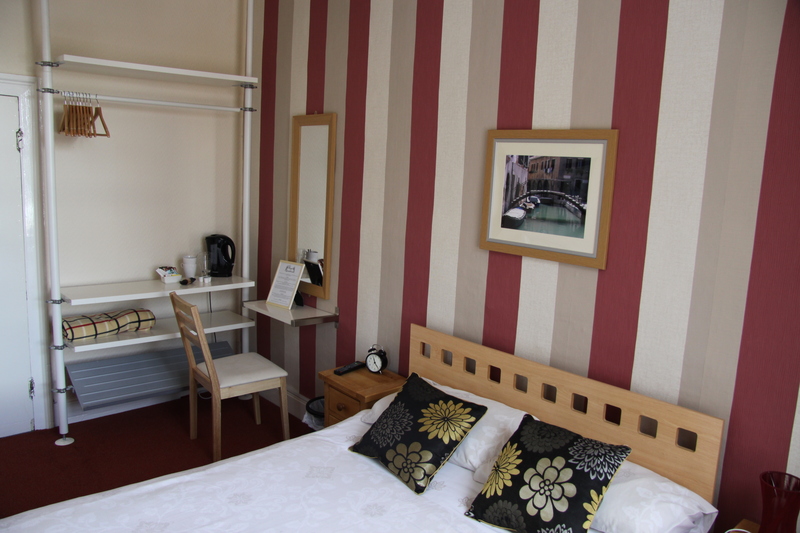 Room 7 is on the quieter 'Market' side of the guesthouse, room 7 is a standard double bedded room, with private vanity wash basin. Sleeping one or two. 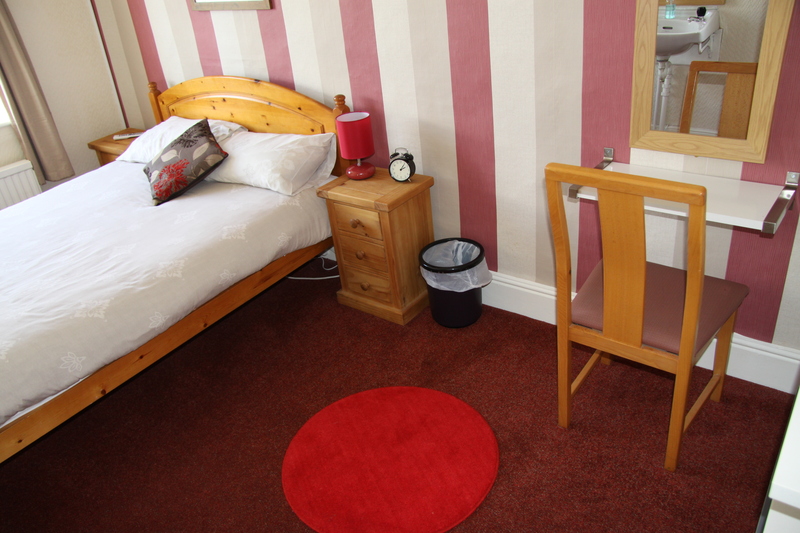 Room 7 has a bathroom next door for sole use with bath, WC and wash basin. Room 7 is on the 1st floor of the guesthouse easily accessed by a staircase from the ground floor.